Coventry firm Modec, which manufactures electric vehicles, has gone into administration. Reported to be £40 million in debt, the company claimed to be the first, purpose-built zero emission vehicles manufacturer in the world. It has been hailed as a ground-breaking company, paving the way for innovative eco-vans. However, since the launch of the company in 2007, only a reported 400 vehicles have been built, at a loss currently amounting to £100,000 per vehicle. Administrators Zolfo Cooper said the company had experienced "severe cash flow difficulties" and blamed the tough economic climate. 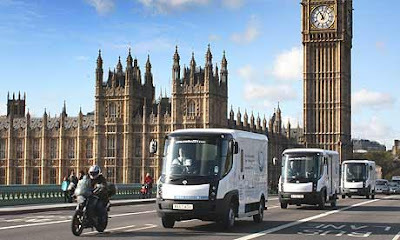 Yet, in 2009, The Guardian was saying, "Electric vans are a viable cleantech alternative. 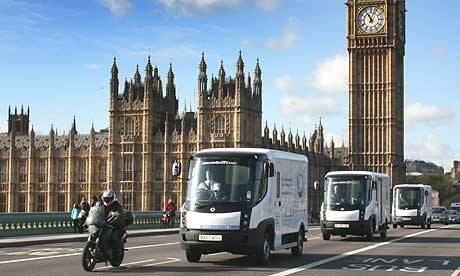 Now able to compete on range and price, electric vans are a cleantech alternative to diesel". 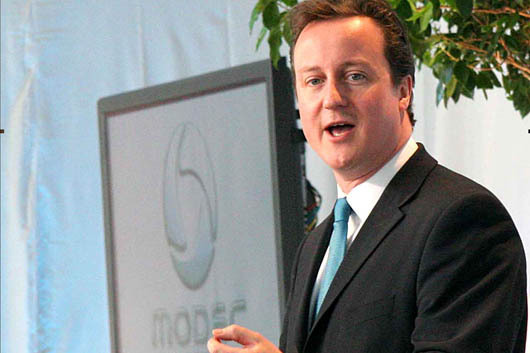 The plant in the Binley Industrial Estate was originally unveiled on 8 March 2007 by that well-known supporter of things green, showing the judgement for which he has since become famous ... step forward Mr David Cameron, followed by Caroline Spelman - to interview the wimmin at the heart of manufacturing. You would, as they say, have to have a heart of stone not to smile.